What is the proper temperature a fridge and freezer should be? 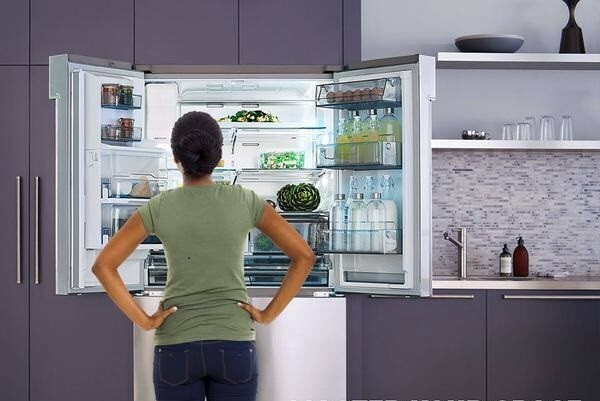 According to FDA.gov, keep the refrigerator temperature at or below 40° F (4° C). The freezer temperature should be 0° F (-18° C). Check temperatures periodically. Appliance thermometers are the best way of knowing these temperatures and are generally inexpensive. The first step in organizing your freezer and fridge is to take inventory and discard out of date items or items you will not likely use. Take advantage of adjustable drawers and shelves, found readily in most new appliances. Organize food items by size. Look for organizers that maximize shelf space; for instance, dispensers or shelves that can be added to existing shelves to maximize the vertical space. Keep the most frequently used items in front for easy access the whole family will appreciate. Everyone has a small shelf that never seems quite big enough. Put it to use with leftover storage because ampules that stack and are similar in shape will maximize the deep, narrow space. To fight odors keep an open box of baking soda in the back corner. Vanilla extract will also keep your fridge fresh. Soak a paper towel or cotton ball, put it on a paper plate and wait for it to dry before removing. Clean out both your freezer and your fridge once a month. Whether putting food in the refrigerator, the freezer, or the cupboard, you have plenty of opportunities to prevent foodborne illnesses. The goal is to keep yourself and others from being sickened by microorganisms such as Salmonella, E. coli O157:H7, and C. botulinum, which causes botulism. Keeping foods chilled at proper temperatures is one of the best ways to prevent or slow the growth of these bacteria. These food storage tips can help you steer clear of food-borne illnesses at U.S. Food and Drug Administration.